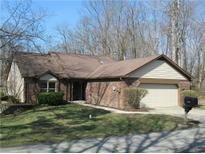 Below you can view all the condos for sale in the Windridge subdivision located in Indianapolis Indiana. 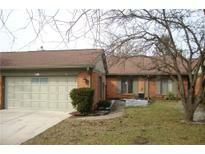 Listings in Windridge are updated daily from data we receive from the Indianapolis multiple listing service. To learn more about any of these condos or to receive custom notifications when a new property is listed for sale in Windridge, give us a call at 317-623-3471. See Media Supplements for a list of services included in the monthly fee. MLS#21631746. RE/MAX Legends Group. 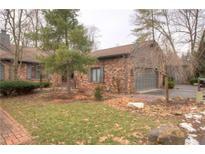 * Upper and lower decks overlook woods & creek * New windows , new carpet, new concrete drive and sidewalk, fabulous garage! * MLS#21628937. F.C. Tucker Company. Water and Sewer is included in the monthly fees along with lawn care, snow removal, and most exterior building maintenance. No steps! MLS#21623797. RE/MAX Legends Group. Relax on your spacious screen porch surrounded by woods. Walking trail access. MLS#21619489. eXp Realty, LLC. All bedrooms have walk in closets. MLS#21559274. RE/MAX Ability Plus.